UAH's England study abroad photography trip students with Professor José A. Betancourt. 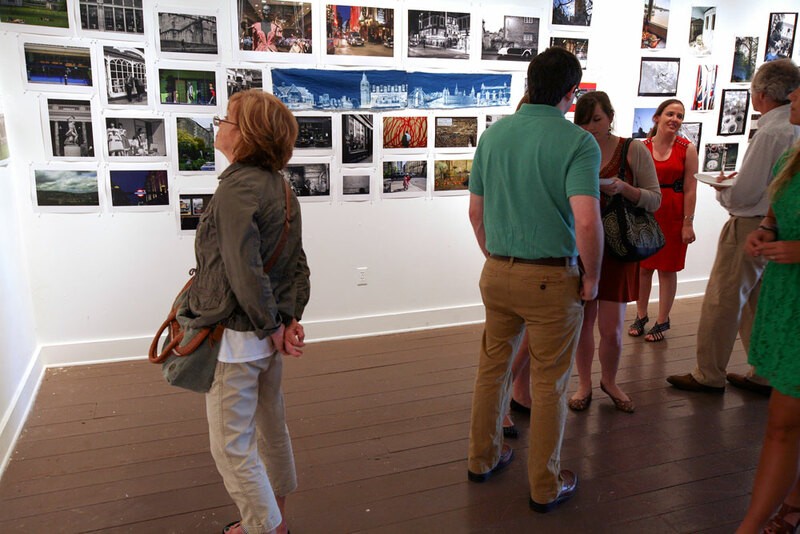 An opening reception was held Tuesday at the Union Grove Gallery for a photo documentary exhibit being presented by six photography students from The University of Alabama in Huntsville (UAH). 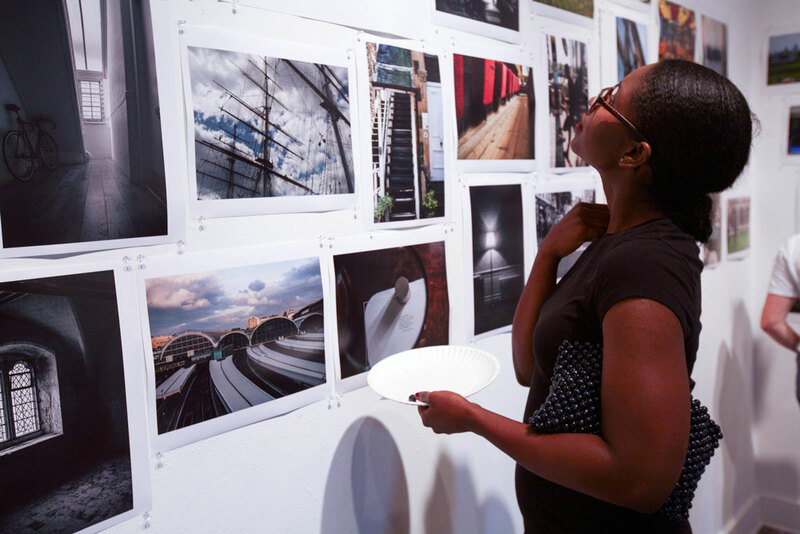 The exhibit, which will run through August 29, features photographs taken by the students during their recent trip to England as part of the advanced historical processes class taught by Associate Professor of Art & Art History José A. Betancourt. Trip poster designed by student Paige Heddon. Over the course of the two weeks they were there, the students - Emily Pate, Conway Campbell, Sarah Best, Harrison Walker, Leslie Posey, and Paige Heddon - compiled thousands of photos from six destinations: London, Lacock, Chippenham, Bristol, Stonehenge, Bath, Salisbury, and Greenwich. Yet despite being in the same place at the same time, each brought to their work a completely different perspective. "Leslie's work, for example, has a timeless aesthetic. She is attracted to things that are old and worn," says Betancourt of Posey's work, which included a photo of a vintage pair of shoes straddling the prime meridian in Greenwich. "Emily, meanwhile, is drawn to brighter colors, and colors that pop. When she shoots color, she definitely shoots color!" No matter what the style, however, all of the students had the same goal. "You're trying to communicate something beyond what the photo shows," says Betancourt. "It's all about capturing people in the moment without the subject paying attention to the photographer." And that's done using a technique from the genre of street photography called "shooting from the hip," says student Sarah Best. "I took a lot of pictures of architecture and scenery, but I shot from the hip to get pictures of people not looking or smiling and of what life is like there every day." Nevertheless, she did make one exception - a picture-perfect portrait of the Queen of England. "We just happened to be there, taking pictures of Buckingham Palace, and these black cars came out," she says. "I was just really lucky!" 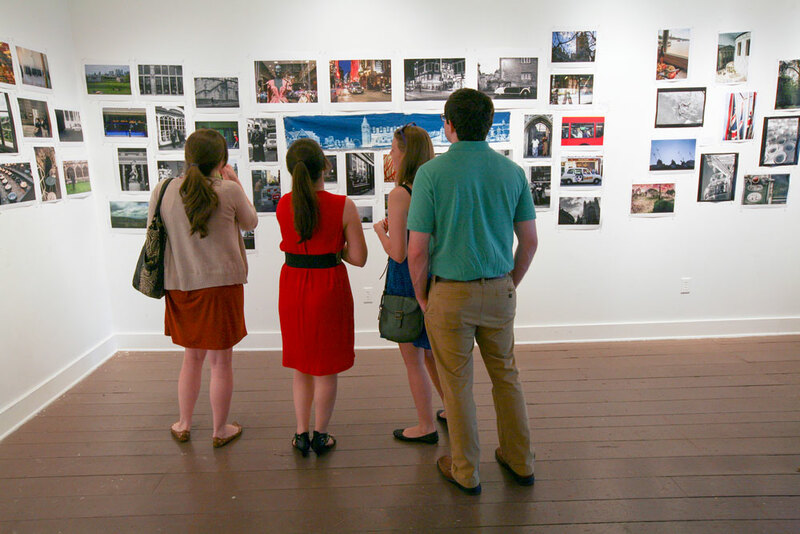 The UAH England Study Abroad Photography Exhibit runs from July 23 to August 28. Union Grove Gallery is open to visitors on weekday afternoons and by appointment.